Very small package; 43% smaller than Hitachi's former X200 series for equivalent rated drives. 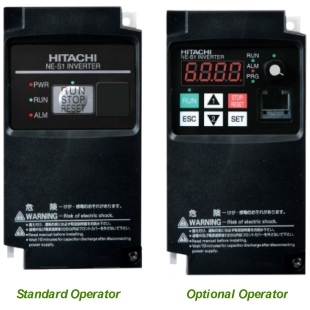 Low-cost optional operator (see dropdown below) provides digital display, speed Pot dial and expanded on-device programming of drive. Click here to access additional info and PDF documents in support of this series.